Zimbabwe’s vibrant comedy circuit has witnessed the spectacular rise to fame of a new female voice in the form of Fellistas “Mai Titi” Maruta. Maruta has become a star overnight through her humorous skits that have become popular on social media platforms such as Facebook, WhatsApp and YouTube. While the local comedy industry has registered growth in leaps and bounds over the past years, the sector has still largely remained dominated by a pool of male comedians. Only a few female comics have emerged, with the most notable being Sharon “Maggie” Chideu and Samantha “Gonyeti” Kureya of the Bustop TV fame, who are proving to be serious players in the genre as they have continued to dish out unpredictable rib-cracking jests. Now enters “new kid on the block”, Maruta, who signalled her entry on the comedy scene by posting her first skit on Facebook on Unity Day last year and has since then been making waves with her hilarious skits that have taken the comedy circuit by storm. The Harare-bred comedian is the typical woman next door, offering a different and refreshing kind of humour — always presented in a way that brings on the laughs. She speaks mostly about serious issues that people (largely women) have to deal with on a day-to-day basis. Speaking to The Standard Style, Maruta said she was a natural comedian as she did not receive any professional training but was riding on her raw talent. “As someone who talks too much, I grew up cracking jokes on different issues, making people laugh. All I can say is that making jokes is an in-born thing, and one of my few gifts from the Almighty,” she said. 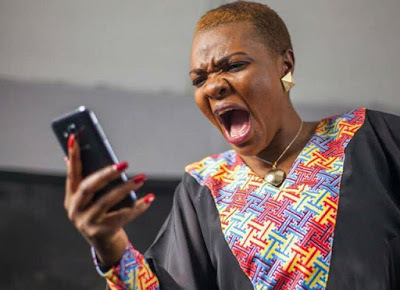 The 32-year-old said she drew much of her inspiration from Uganda’s queen of comedy, Anne Kansiime, her mother and another local female comedian, Tyra Chikocho.